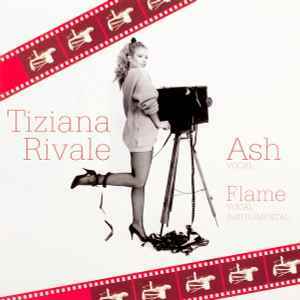 I am very happy that Flashback records is releasing this italo disco masterpiece again! I missed it when they first released it back in 2008. Now coming out on two separate colored vinyl 12"s. Its beautiful new generation italo disco at its finest. Does anyone know the actual release date? The best track for the new era of "new italo-disco",simply amazing,"Flame" with the base of Queen of the night - Camomilla,is the best production of the moment,an authentic diamond 100% elegant. Tiziana and longtime producer Luigi Piergiovanni both contributed to the legendary Camomilla - "Queen of the Night" and this record has the same feel, without falling into the trap of being too derivative. The b-side "Flame" is a cover of the very rare track of the same title by Luna & Black Connection (although this later version is better for my tastes).